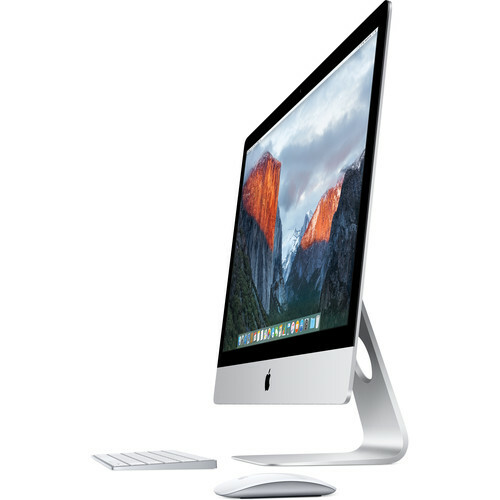 Apple combines the high-res 5K visuals into its sleek 5mm thin 27″ iMac with Retina 5K Display. With a 5120 x 2880 native resolution, this iMac provides 14.7 million pixels, which is 7 times more than the standard HD display. The Retina 5K display also features a wider color gamut. Using a P3-based color gamut, the Retina 5K display provides a 25% larger color space than standard RGB displays. And with more available colors, the images will appear more vivid and reveal greater detail. The iMac houses a quad-core 6th-gen Skylake Intel Core i5 processor. Its quad cores can reach a stock speed of 3.50GHz. It can also be overclocked up to 3.80GHz, thanks to Intel Turbo Boost 2.0 technology. The 6th-gen Skylake Intel processor uses low voltage for better energy efficiency while still providing fast performance. Combined with 8GB of 1867 MHz DDR4 RAM, the iMac allows you to multitask quickly and efficiently. This iMac has an AMD Radeon Pro 575 dedicated Graphics with 4GB of GDDR5 vRAM memory. With three-stream 802.11ac technology, the iMac takes desktop Wi-Fi speeds over the top. When it’s connected to an 802.11ac base station – including AirPort Extreme and AirPort Time Capsule (both sold separately) – you can reach data rates of up to 1.3 Gbps. That’s triple the previous 802.11n standard, which means you’ll get up to three times faster Wi‑Fi. You also get double the channel bandwidth, with 80MHz-wide channels providing more room for more data to flow faster than ever. Bluetooth 4.0 wireless technology is also built in, so you can connect accessories such as a wireless keyboard and mouse. Expand the capabilities of your Mac. Connect high-performance peripherals. Transfer data at high speed. Even daisy-chain multiple devices. And the iMac with Retina 5K display has Thunderbolt 2, delivering twice the bandwidth – up to 20 Gbps – for fast data transfers. 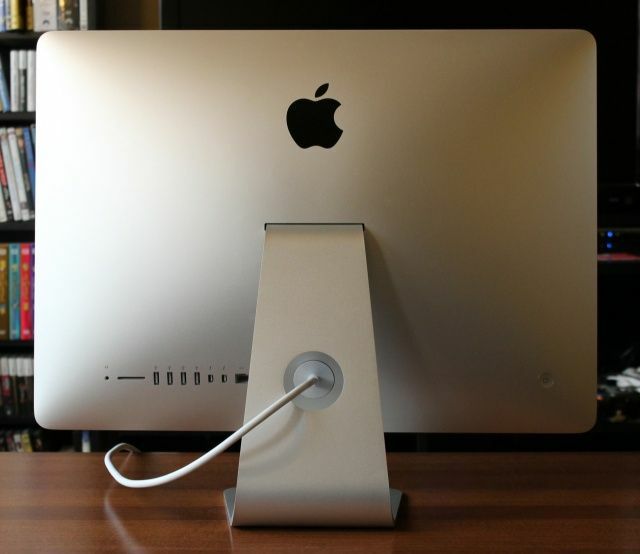 While the Thunderbolt 2 ports double as mini DisplayPorts, the iMac with Retina 5K display cannot be used as a standalone monitor like its predecessor. It can, however, be used simultaneously with an external display and can output up to a 5120 x 2880 resolution.